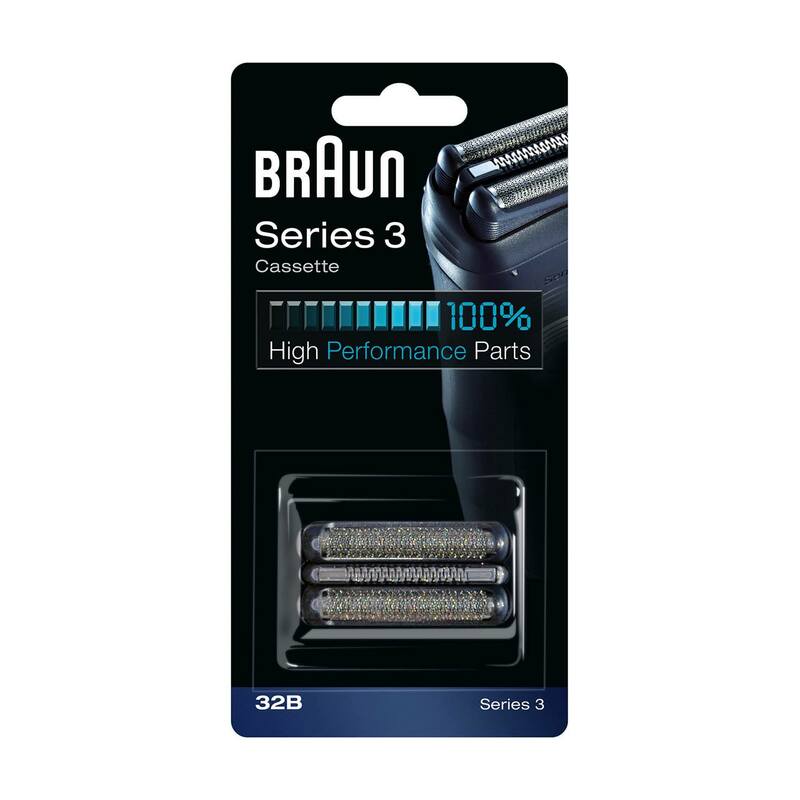 Braun 32B Cassette replacement head black. For Series 3 (new generation), cruZer Clean Shave. Like some other reviewers, I have found that the performance of the cutter drops off drastically after a few months. I have now had to replace it twice in less than a year, due to slow, ineffective shaves, and pulling on whiskers. I have used Braun shavers for many years, and the cutter blocks have always lasted much longer. When they started to pull at whiskers, it was usually because of a small tear in the screen. This one is pulling without any tears, and seems to be very dull. I almost switched to a different shaver instead of buying a new cutter, but decided to give it one more try. Not a good design and not recommended. After just 2 months, one of the (two) plastic guide stalks on one of the floating cutting heads snapped off when trying to refit it back into the main foil (which is very fiddly to refit) and now it keeps dropping off when shaving. Not good. Just gone through two of these in 6 months as they keep dropping in bits. Previous version was far better and it shaved me closer easily lasting the recommended 18 months with no problems whatsoever. Not what I expect from Braun, different shaver for me I think. This product is good quality. I like the shave it gives but I got disappointed when the blades got broken after 3 weeks and I could not find replacement parts anywhere. I try to buy them online, South Africa is nowhere to be selected! How can such expensive thing be single use and doesn't even last a year?